Rhode Island is the smallest American state - you can drive through it in about 45 minutes - but it’s got miles and miles of gorgeous coastline, much of which is of the white, sandy variety, or the dramatically rocky variety. 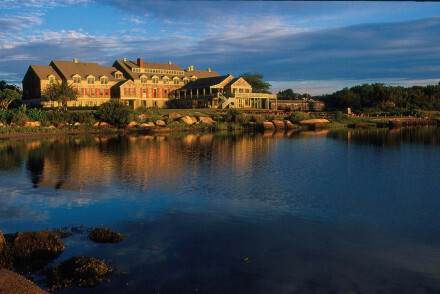 Our Guru’s picks for the best places to stay in Rhode Island all seem to have a romantic quality, and this is a great place for both couples and families to explore. There are also some very reasonable city break options on the list of the best places to stay in Rhode Island. Providence is Rhode island’s capital, a picturesque city rich in museums and galleries, and art and antique shops in wonderful old neighbourhoods. Unless you're only looking for the beach or the water, then it's definitely worth at least passing through charming Providence. It’s also great for foodies and anyone who enjoys treating themselves to the finer things. Also popular with those who enjoy the finer things is Newport, known both for its history and its wonderful architecture. Some of the architecture is colonial, and dates from the town’s founding - by religious moderates escaping Massachusetts puritanism - and some is pure fantasy! There are Tudor mansions, French chateaux, Italian palaces and all sorts of castles and manors, built as summer houses by the rich and famous. One of the best ways to see the highlights of Newport is to take the ‘Famous Cliff walk’, a five and a half kilometre stroll along the clifftops with beautiful ocean vistas one side and views of some of the most extravagant mansions on the other. Charleston, on the coast, is a great spot for a quiet, civilised beach break or family holiday, East Bay is where you go to learn about the earliest American settlers - with its whaling history and Bristol’s slave trade connections, or you might like to see Conanicut Island, another historic spot known for its Quaker farmers and the pirate, Captain Kidd. Whether you're just passing through on a New England tour, or here for a longer stay, our selection of the best places to stay in Rhode Island has something for everyone: from great value city spots to all out luxury on the coast. Built in 1910, The Attwater in Newport is an airy New England style boutique hotel with 17, spacious, nautical-chic rooms. You’re right in the heart of things, near the beaches, the restaurants and the harbour. Also in Newport, the Grace Vanderbilt has been converted from the Vanderbilt Hall, a building steeped in Newport’s history. As well as being centrally located, this 33 room hotel has sleek interiors, two pools, a fitness centre, billiards room, spa and a renowned restaurant. 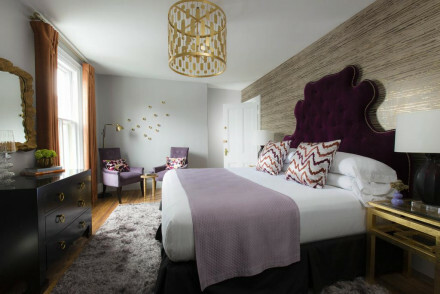 Rhode Island’s Providence may not be an obvious city break destination, but there’s plenty going on here, and the Hotel Providence is the place to stay to see it. You’re right in the heart of town surrounded by city views and some great art and antiques. 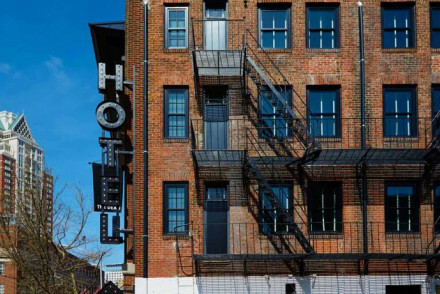 The Dean Hotel is a cool boutique offering in downtown Providence where the modern rooms offer nice features like works by local artists and rain showers. There’s also a hip cafe, a hip bar and a German restaurant. 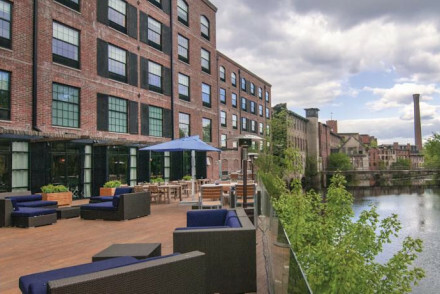 Also in Providence, NYLO is an industrial conversion overlooking the river with a great bar known for its live music. And its 160-odd rooms start from less than £100 per night. 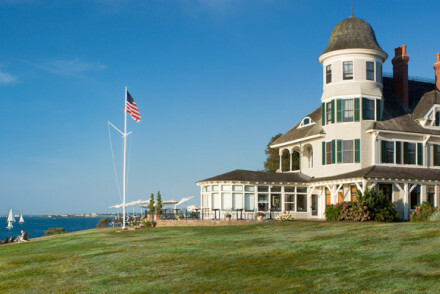 The Castle Hill Inn was originally a Newport outlook post, so has unrivalled views of the Atlantic from its perch on Newport’s western point. 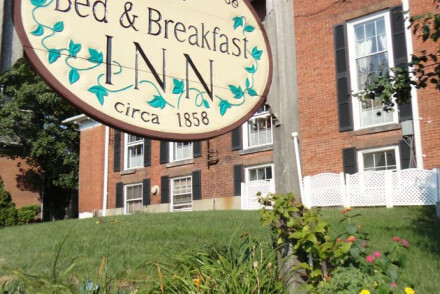 Dating from the 18th Century, this inn is surrounded by 40 acres and has 35 rooms and a terrace bar and restaurant. 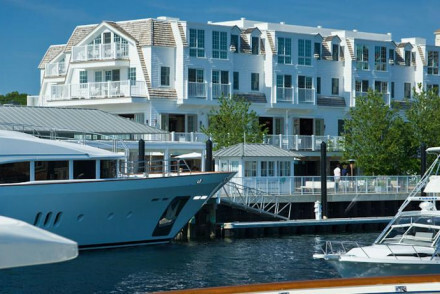 Forty 1 North is a modern, boutique hotel right on Newport’s waterfront, so perfect for sailors. As well as views over the Atlantic, these 28 rooms are eco friendly and there are two restaurants and a bar. 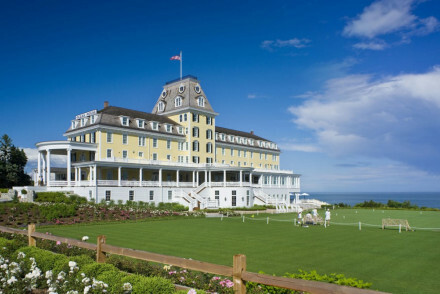 Still not sure which is the best place to stay in Rhode Island for you? Cool downtown boutique in prime location for local exploring, restaurants and shopping. Rooms are modern, local art works hangs on the walls and tiled bathrooms with rain showers. The Boom Box for karaoke, Bolt Coffee for your morning fix, cocktails at Magdalenae Room and Faust is German cuisine. Sights nearby - 18th Century John Brown House is a museum in a mansion. Great walks - Along to Pomham Rocks Lighthouse. Explore Providence like a local! This charming 1858 brick mansion is situated right in the center of the action, walking distance from shops, sights, trendy restaurants and bars and of course Brown University. Decor is understated and elegant. Sights nearby - Visit Tiverton Four Corners, an important center for antiques, fine art, and decorative crafts. Industrial conversion on the river offers business facilities, airport shuttle, library and games room. Rooms are large with modern facilities & complimentary toiletries. 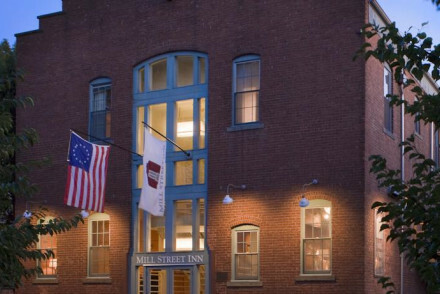 Regional cuisine is served at The Loft overlooking the Pawtuxet River and live music at the bar. 17 miles from town exploring. Sights nearby - Historic Providence gardens are worth a visit and check what is on during your stay - they have events all year around. Tranquil hilltop boutique with views of the Old Harbour. The charming, antique filled rooms exude a relaxed vibe. Enjoy seasonal tapas, or al a carte, with an award winning wine list. Fantastic retreat offering tennis, croquet and magical sunsets from the lawn. Total relaxation - Peace and quiet with no TV or radio, sit out on the warparound veranda and watch the ships sail by from the Old Harbor. Great walks - This are is packed with fantastic walking, start off around the gardens and then head towards the harbour. Sights nearby - Check out the two neary lighthouses - Southeast and North. Charming converted saw mill with exposed brick and beams. The modern, comfortable rooms come with complimentary breakfast on the rooftop offering sea views of Newport. The perfect location to explore local restaurants and bars. A memorable coastal weekend break for all the family. Great walks - Cruise miles of scenic coastline along the magnificent Ocean Drive or walk the famous Cliff Walk. Local markets - See hundreds of live crustaceans at the Aquidneck Lobster Company and bring home a live lobster. Birdwatching - Invigorate yourself with a nature hike to star-gaze or bird-watch at The Norman Bird Sanctuary. Sights nearby - Re-live the "Gilded Age" with a tour of an elegant Bellevue Avenue Mansion. A wonderfully whimsical Victorian era B&B, just off centre in the seaside town of Newport. The fabulous interiors by Rachel Reider are a nod to the Golden Age, with bold bright colours and rococo and Beaux-Arts style furnishings. The breakfast is excellent and the atmosphere is relaxed. 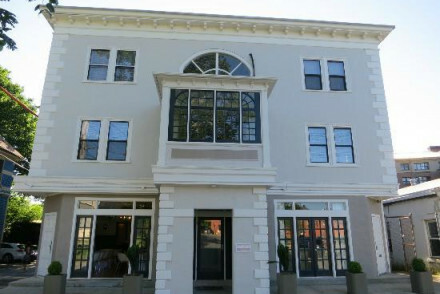 Built in 1910, this airy and New England style boutique hotel offers contemporary luxury in the heart of Newport. Rooms are spacious with colours mirroring the nautical life of the city. Nearby are restaurants, beaches, harbours and a vibrant city life. A great weekend break for all! Sailing - Lessons or rentals for the experienced - sailing is a way of life in this town. Great walks - The Newport Cliff Walk is 3.5 miles of shoreline for all the public. Sights nearby - Newport Country Club is 10 minutes drive away. 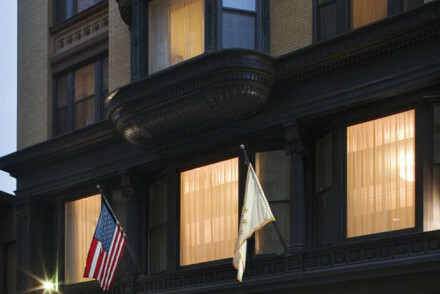 Downtown Providence hotel filled with antiques and art. The large, comfortable rooms offer city views and modern marble bathrooms. Aspire Restaurant offers local cuisine, a popular spot for pre-theatre dinning. Fitness and business facilities, prime location for restaurants, bars and attractions. Sights nearby - Roger Williams Zoo. This waterfront boutique hotel is eco, nautical in decor and contemporary in style. Rooms offer Atlantic Ocean views. Two restaurants offering locally sourced ingredients from grilled fish and meat to an Asian tapas bar. The ideal base to explore the Gatsby-esque mansions of the Jazz era. Sights nearby - Museum of Newport History is one of a handful of cultural sights to see during your stay. Great walks - Walks along the shoreline at Cliff Walk are worth doing. Sailing - Sailing is very much part of Newport's lifestyle. 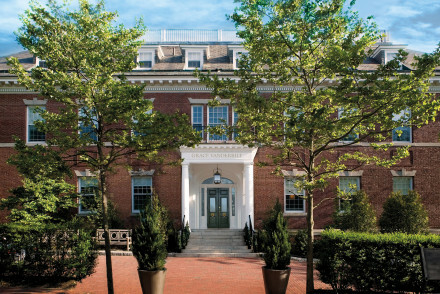 Formerly the Vanderbilt Hall, this centrally located mansion oozes Newport history. Fabulous rooms offer cool, sleek interiors plus there are two pools, fitness centre, billiards room and spa. Throw in a restaurant and a roof deck bar, and it's the perfect Rhode Island destination! Sights nearby - Touro Synaoguge is 100 metres away and bult in 1763. Resting in 40 acres on the western point, this 18th Century outlook post offers dramatic views of the Atlantic. Rooms are all unique and beautifully decorated. Sunset Terrace Bar and the restaurant offer farm to fork dining. Sailing, beaches and much more are ready for all the family. Stunning! Sights nearby - The Cliff Walk along the shore is 3km away and worth a stroll. Great walks - Castle Hill Lighthouse is worth a visit closeby. Sailing - Newport is known for its love of sailing. Standing in a league of it's own, tall on the buffs of Watch Hill with ocean views over a long private white sandy beach. Large, naturally light rooms have private balconies & plush Italian linens. You'll find charm, style and service with thoughtful touches throughout. Inspired cuisine. Delightful. Fishing - Instruction in how to tie flies, how to cast, and what flies to use depending on season, tides and fish. Sights nearby - Flying Horse Carousel, the oldest continuously operating carousel in the USA. Surfing - Surfing and Paddle Boarding are both popular in the area. 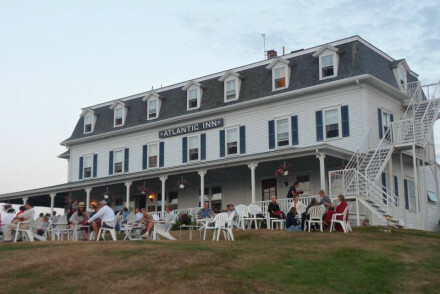 Quintessentially 1899 New England inn with Atlantic views, private beach and pool. Spacious rooms decked with local artist works, offset by a light colour palette and tasteful bathrooms. Farm-to-table cuisine across four restaurants and unique settings - do not miss Sunday brunch. Birdwatching - Borrow some binoculars and look out for the herons and egrets in warm weather and in the colder months, ducks. Sights nearby - Watch Hill Lighthouse and Museum is over 200 years old. Great walks - The ocean beach offers two miles of white sand shore. Kayaking - Take a kayak and explore the waters. This European-style oceanfront boutique is one of the Newport mansions, but the only one open to guests. Each room is unique, but with a common theme of comfort, plush linens and luxurious bathrooms. Dine at award winning Spiced Pear, Cliff Walk Terrace for al fresco, or head to the lively bar. Great walks - The Cliff Walk allows one to explore the shoreline by foot whilst making a memorable and leisurely afternoon stroll. 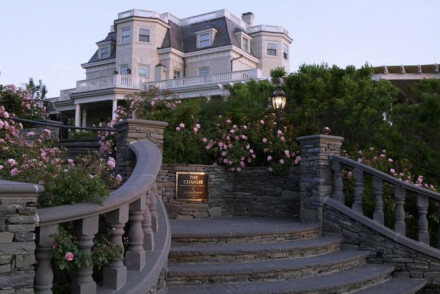 Sights nearby - The Preservation Society of Newport County has over 10 mansions for you to discover during your stay. Back to Nature - Along the waterfront there is much to see and explore in terms of sealife, as well as activities. Sailing - Board an America’s Cup 12-metre yacht and explore the shoreline from the seas.